At their latest Court of Honor, Troop 367 awarded new rank patches and Merit Badges. However, the highlight came in the form of a group of guests in the front row. 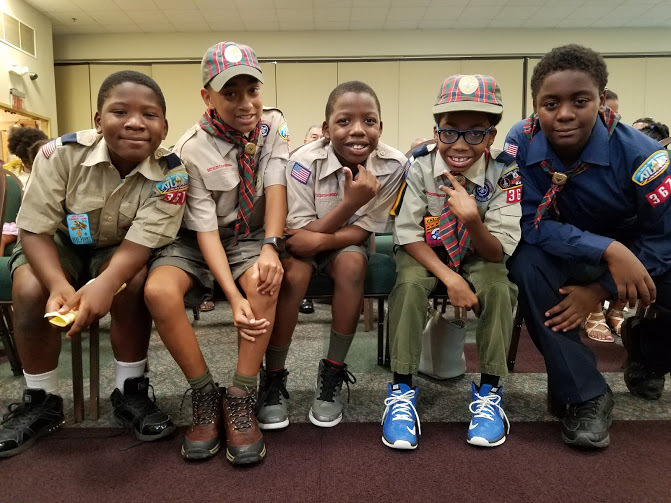 During the ceremonies a group of WEBELOS were walked across a bridge, awarded new shoulder loops and welcomed into Boy Scouting and Troop 367. These Scouts had recently received their Arrows of Light in Cub Scouting and were bridged over into Boy Scouts in August of 2016. This transition begins a new phase in their lives and their Scouting journeys. From here on they’ll be cooking their own meals, organizing their own meetings and going on campouts led by their peers rather than their parents. Two leaders, Kevin and Rhodope Fears, were also honored during the Court of Honor. They were recognized for completing Wood Badge, the Boy Scouts of America’s advanced adult leadership training. 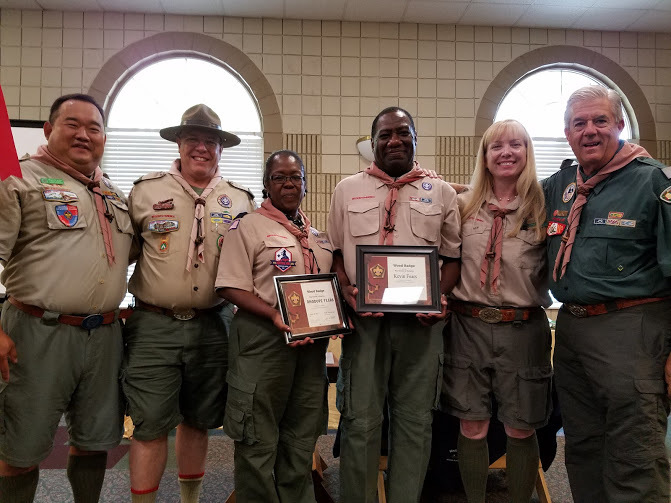 Fellow Wood Badge trainees and instructors were on hand to present the candidates with their certificates and beads marking the completion of the course. Tagged Cub Scouts, merit badges, Wood Badge. Bookmark the permalink.